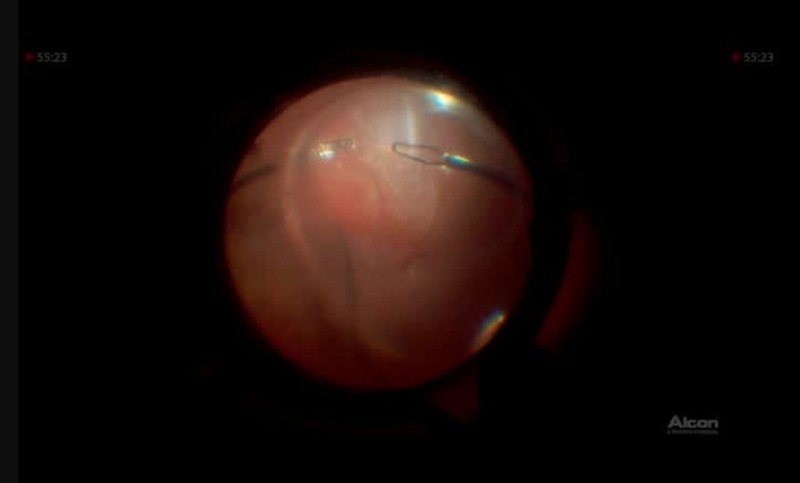 This is the case of a 52 year old male who had a ruptured globe after blunt ocular trauma. He was first submitted to scleral repair then to vitrectomy surgery 10 days after primary repair. The surgery was completely performed using the Ngenuity 3D system (Alcon) and during surgery we show the removal of the lens and vitreous hemorrhage, retinectomy due to a large retinal fold and area of incarcerated retina. After perfluorooctane we unfold the retina and drain the subretinal blood through the retinectomy. We then perform endolaser to the retinctomy edges, PFO-AIR exchange and silicone oil injection.